The interwebs is filled with probably a billion beauty hacks that promise to save us precious time and money. While most of them actually work (who needs expensive brush cleaners when baby shampoo works just as well?!) many of them are not only duds, but also potentially dangerous. The Daily Makeover pointed out one particular concealer hack that we should just stay away from: using thick, gooey foundation residue from the top of the bottle and using it as concealer. 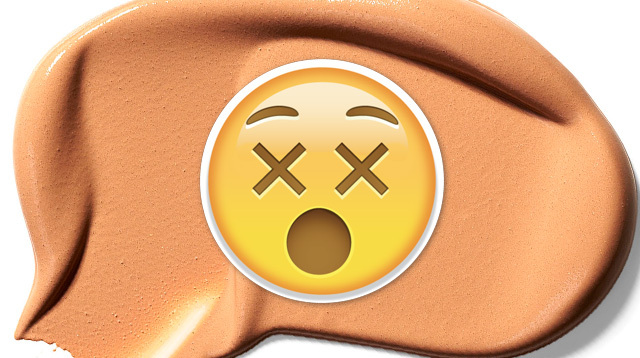 They report, “Since the average woman is likely to hang on to foundation well past its use-by date, the gunk around the lid is likely to be full of bacteria—not the best thing to put on blemishes or irritated skin!” YIKES. And can you even imagine the foundation's chunky consistency? It will never apply smoothly on your blemishes and dark spots, which is the last thing you want when concealing them. So the next time you read an interesting beauty hack on the internet, think twice before trying it. Do your research and see if it will really change your life.